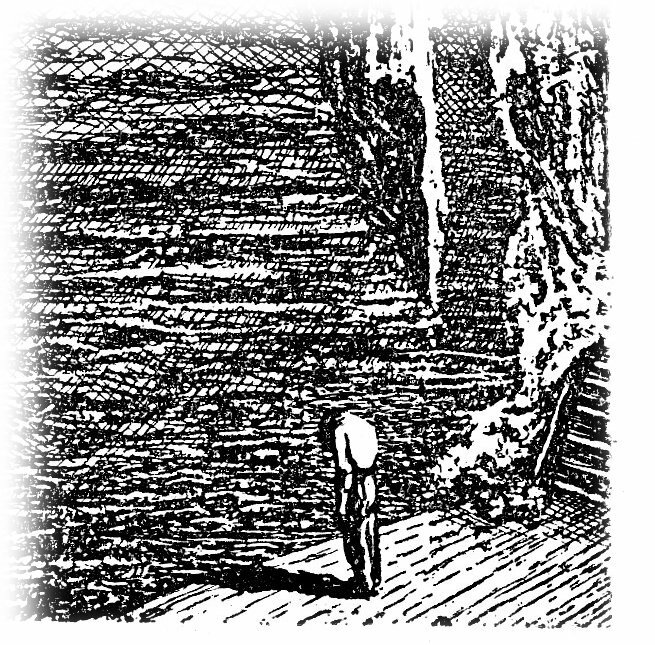 Peake’s images are sometimes tentative, under-observed, or coyly sentimental – a failure of much “fantasy” illustration. But here he is at his most resolved and most ferociously intense. 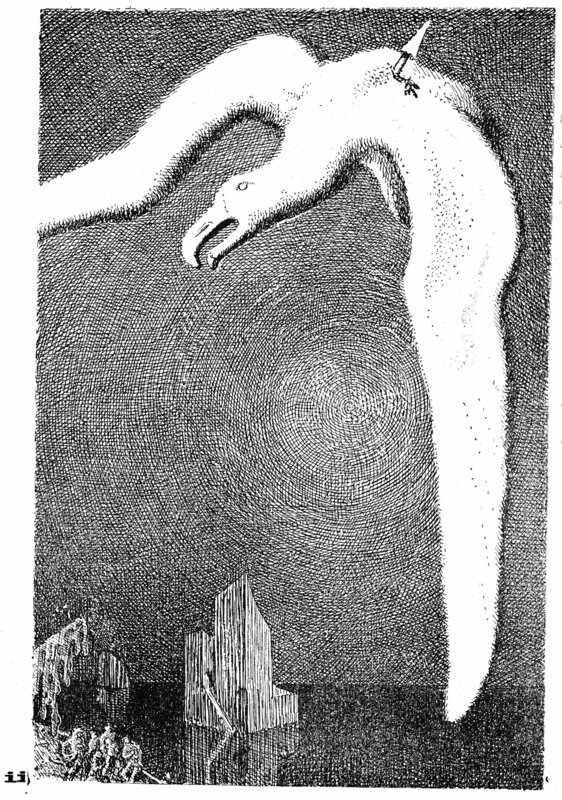 This intensity derives from the obsessive and disciplined density of his pen line, which shows extraordinary virtuosity; I particularly like the looping “scribbled” hatch that forms the sky in the first image below. 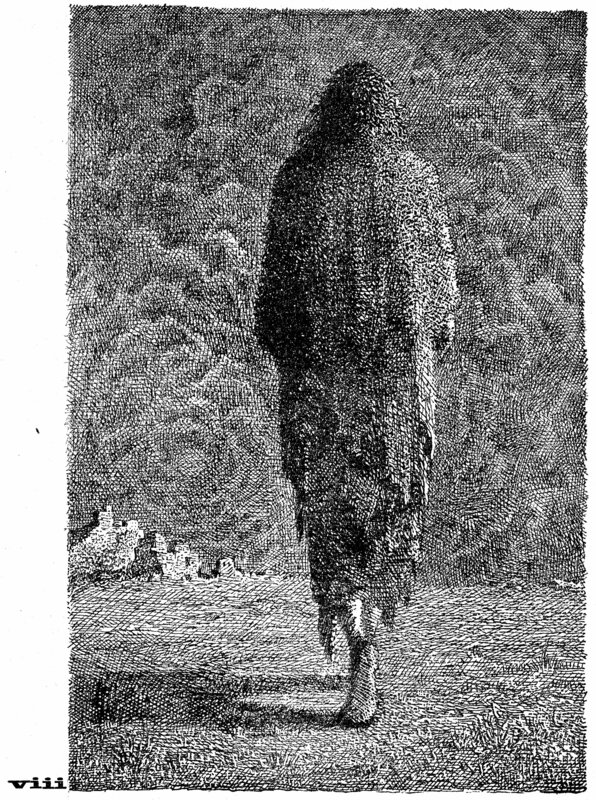 In the mood of their tonality these owe something to the example of Doré, but otherwise they are very much their own vision. Elsewhere they are described as ink and wash, but I can see no signs of any wash, though white ink lines are used occasionally and judiciously. 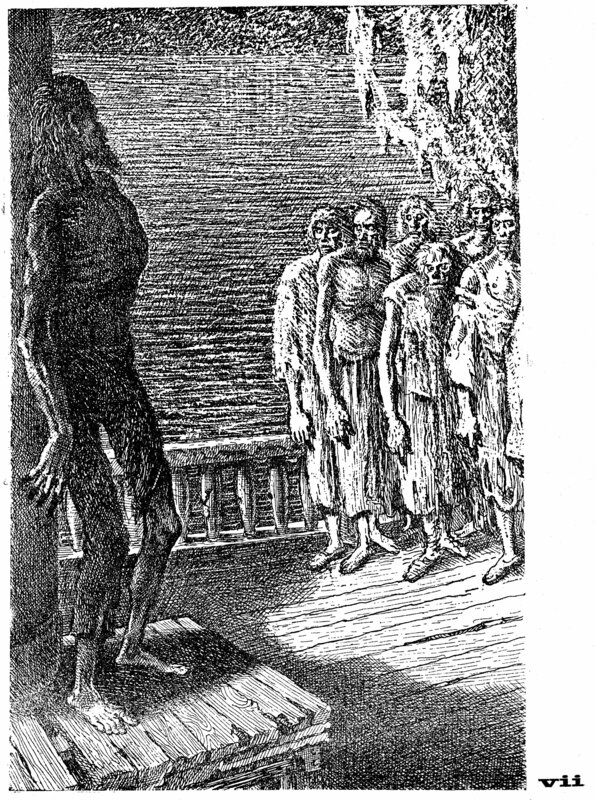 C S Lewis commented on these drawings in a much later letter to Peake, praising their “disquieting blend of the venerable, the pitiable, and the frightful”, and the sheer gracefulness of their representation of horror. 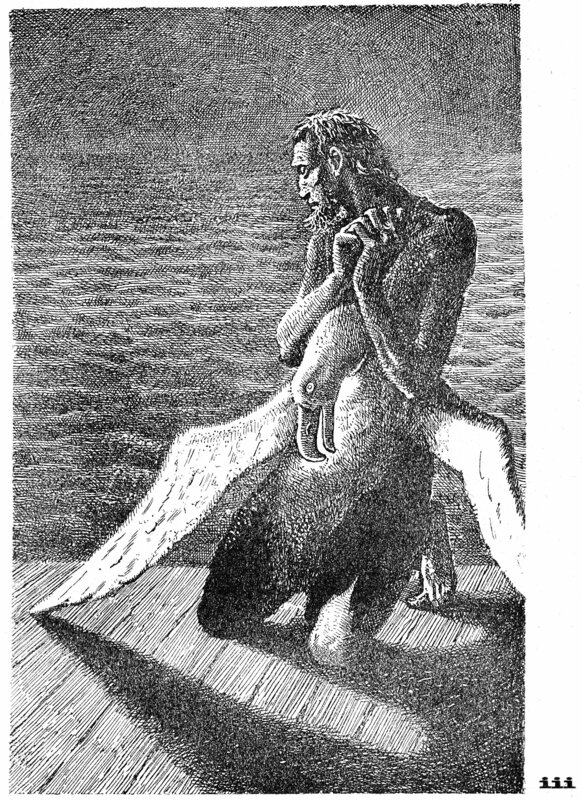 In their Poetry London reprint, the images were numbered and usefully supplied by Peake with thumbnail sketches keying them to exact lines of text, which I have used as captions. 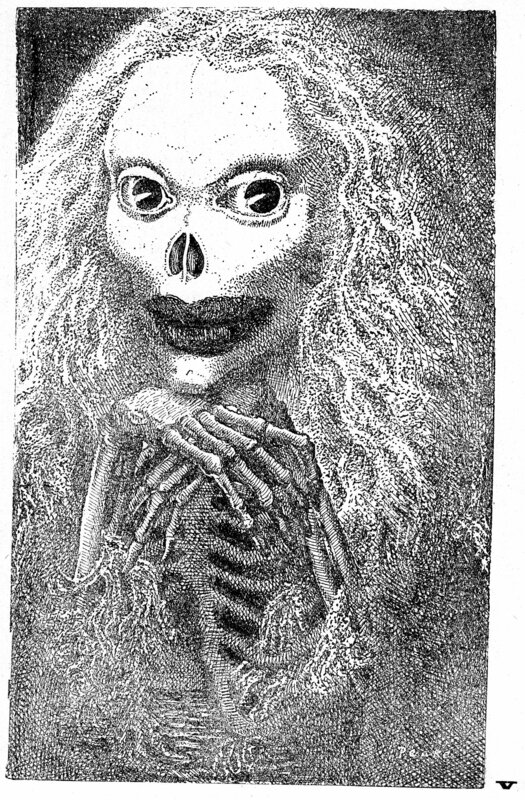 The eight drawings are available here and there online, though sometimes slightly cropped or blurred, so it will do no harm to show them again. 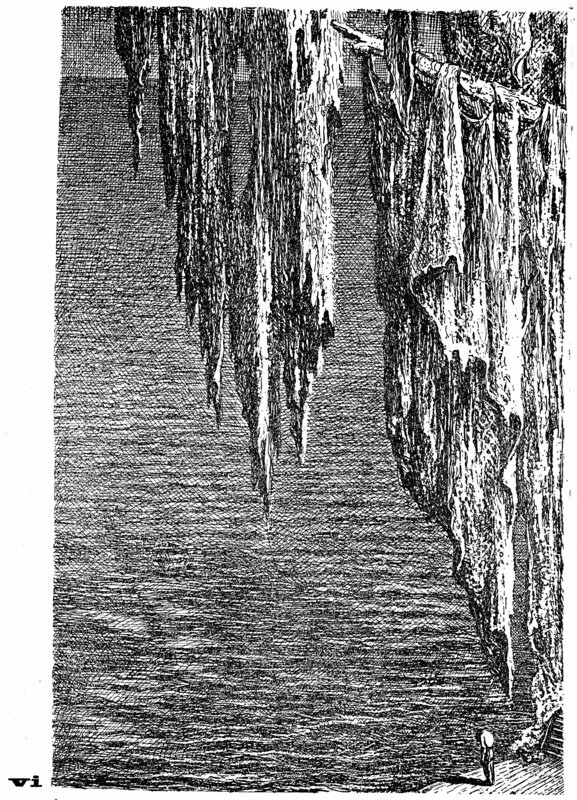 A click on the small images will throw up enough of an enlargement (click again with the magnifier cursor) for the interested viewer to lose her/himself indulgently and entirely in the jaw-dropping intricacies of Peake’s cross hatching. Who thicks man’s blood with cold. I pass like night, from land to land. Standing before the morning bathroom mirror, half-heartedly picking at the scab in my belly button, I see a sack of entrails, knotted at the top, perched on two sticks. The knot resembles a head, with a face on the front. But I am made in the image of God, apparently. Most times, in the mirror, I fail to recognise myself. In the mirror now I seem older than I am now. But in my dreams I am always younger than I am now, however old that may happen to be. When I was young, young people definitely looked older than young people look now. But old people now look younger than old people looked when I was young. When I was young, people who then were older than me already looked as old as they are now. But no one who now is older than me looks younger than I am now, though some people who now are younger than me already look older than I am now. Also, some people who now are older than me looked older than I am now when they were younger than I am now. Should I be looking older to myself than I look to myself, or younger? Should I be looking older, or younger, to others than I do to myself? What do “old” and “young” look like, anyway? Old? There is no such beast. 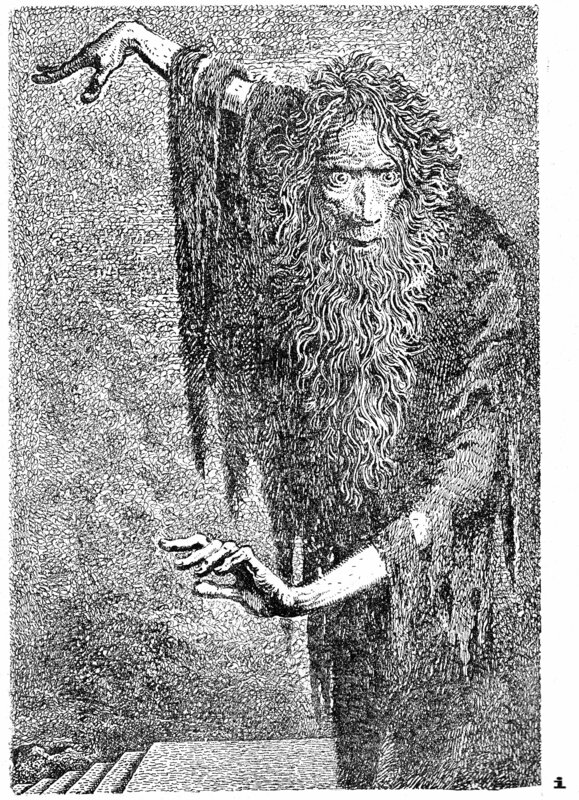 Only the curious but frightened child dipping into the dressing-up box of folded skin and swollen belly and slackening muscle and dry hair and brittle teeth. Speaking of which, I shall now employ in their turn the means for the preservation of my skin, bowel, bladder, teeth, tongue, hair, face, armpits, finger nails, toe nails, hearing, eyes, eyesight, nose, back, prostate, heart and circulation, arthritic thumbs, right foot, general physical well being and general mental well being, by dint of, respectively, washing, defecating, urinating, brushing my teeth, flossing my teeth, applying Dr Tung’s Tongue Scraper, brushing my hair, shaving and applying aftershave, applying moisturiser, applying underarm deodorant, using the nail scissors, cleaning the ear wax from my hearing aids and putting them on, inserting eye drops, locating my glasses, using my nasal inhaler, taking ibuprofen, taking a prostate pill, taking blood pressure pills, taking green lipped mussel extract, doing my plantar fasciitis exercise, taking a multi-vitamin tablet and taking a happy tablet. Sometimes it takes me all day just to get up. Just as it is taking me all my lifetime to be born. Or to die. Being born, dying: same thing. Yes, this life will be the death of me. But so also for the ant. And also for the ragged town pigeon. And also for the very small slug like thing in the garden for which I have no name. And for everybody. Everybody, verybody, erybody, rybody, ybody, body, ody, dy, y. Everybody very body. Airy body, wry body. Why body? Body oddy. Die … Why? Because it is his tiny destiny, of course. I top off my morning routine with the happy tablet. I try to calculate how long I have been on the happy tablets. Four or five years, perhaps. Or is it four or five months? Hard to say. Four or five days? Longer than that, surely. But this uncertainty, of course, must be down to the effect of the tablets. Do I feel any better on the happy tablets? Yes, of course. I think so. I understand that before I started on the tablets, I used to feel dreadful. I know that the tablets make you feel better. I can’t remember the feeling from before, but I know that it must have been dreadful; otherwise, why would I have started to take the tablets? And the tablets make you feel better, so how I feel now must be better than before. Not remembering the feeling from before must, of course, be down to the effect of the tablets. So although I have no real remembering of how it was before, I do not wish to return to how it was before, because that would certainly be dreadful. So I do feel good now. This is good. I must be feeling good. I do not know from experience that how I feel now is good, but by definition it must be. But if I stop taking the tablets, I will feel dreadful, by definition. I do not know how that might feel, but I know that it would be dreadful. So I think I like this, which is happening now. Or rather, I am not sure whether I like it or not. Perhaps I do not. Of course, this uncertainty must be down to the effect of the tablets. But whatever this is that I am experiencing, it must be liking, because the tablets make you like things. To like, but to be uncertain that one is liking, that is the effect, it seems. But if I were not taking the tablets, I would certainly not be liking this. Though I suppose that if I had never started taking the tablets, I would not appreciate the difference. I might really find it dreadful and think that I was liking it. Or, for that matter, really be liking it but thinking that I was finding it dreadful. Though come to think of it, having no point of comparison because of the effect of the tablets, I might be thinking that now. Or the opposite. In which case, why am I still taking the tablets? So am I finding it dreadful? Or am I liking it? Take, for example, this man one place ahead of us in the queue for the ferry. He is leant against his car door, treating himself to a snack of Irn Bru and haggis flavoured crisps. His sunglasses are perched on the dome of his receding hairline, whose full curve repeats, inverted, the full curve of his receding chin, which he has attempted to disguise by a tufty grey goatee. Soon, on the ferry, his wife will sit silently by his side, with her wordsearch book. But what exactly is so dreadful about that? Why do I imagine walking up to him and walloping him firmly in the face with a frying pan? Might I not be liking him instead? Maybe so. ‘Is it rhubarb?’ asks his wife. ‘Rhubarb. Yes. I think it is. Yes.’ But as he comes closer he realises that he is mistaken. He now knows that it is not rhubarb, but he clings to the circumstance that it looks something like rhubarb. ‘Well, rhubarb family, anyway,’ he says, as a shot at settling the issue. In fact, he has not the slightest idea what the plant is, but he likes to be assertive in the expression of his opinions. Is that weakness to be found dreadful? Or might it inspire fondness? Perhaps both. Or take this next man who is limping painfully along the road, a few inches at each step, supporting his injured left foot by means of an upturned golf club that he has employed as an improvised walking stick. At my enquiry, he insists that he feels just fine, and hobbles on. There is something acutely and specifically tragic about his choice of a golf club. Is this merely dreadful, or does it also fascinate? 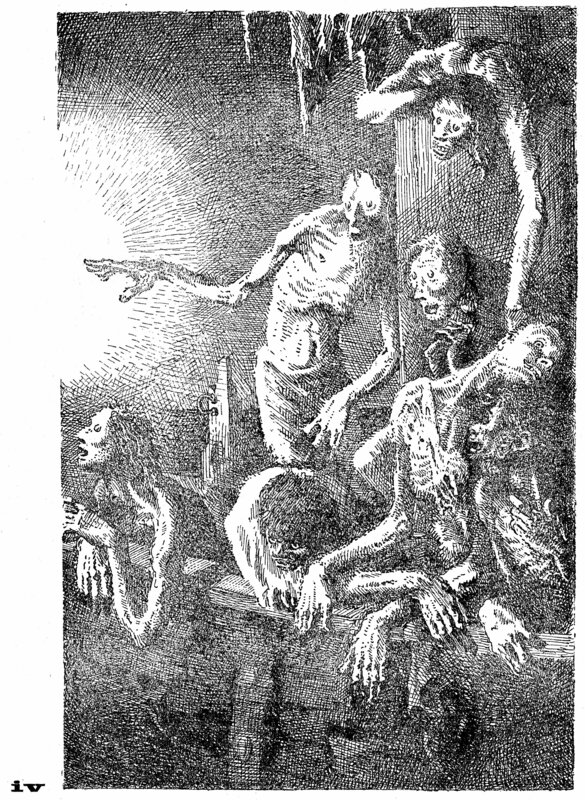 Can something be truly dreadful that fails to fascinate? So if fascination means liking, does dreadful mean liking? X: To be perfectly frank, the cuisine here has been a disaster. That chicken was a disgrace. God knows what they put on it. Didn’t even taste of chicken. Disaster. Wasn’t even any cabbage with it. I didn’t like it at all. They’re trying to be top end catering, but it hasn’t worked. Z: Has the man come back yet? I know he went off a few minutes ago. Shall I pop out and find him? Y: I expect he’ll be back. X: I’ll tell you a joke about a restaurant. This chap goes into a restaurant and he orders woast beef – he has a speech impediment you see – he orders woast beef with gwavy, cawwots and cabbage. No, that’s not it, not cabbage. I’ve got that wrong. I’ll remember it in a tick. What? Z: Just having a sort out, before he comes back. Now, leave that there. And leave that there. That needs sorting. Leave that one there and that one there. There, done. Done and dusted. X: Yes. Where was I? Try again. A man goes into a restaurant you see, but he has a speech impediment you see, so he says to the waiter, bwing me woast beef, gwavy, cawwots and bwoccoli. Z: Yes, but then a wasp appears you see, and the wasp is all over the food, so he tries to brush it away but it won’t go, and then to avoid it he goes under the table you see. Under the table. And when the waiter comes back, he says to the waiter, is that wasp away yet? And the waiter says … Wait, no, that’s still not right. Is that wasp away yet? No, that’s still wrong. Maybe it wasn’t a wasp. A bee? Anyway, you get the general idea. The old ones are the best ones. Z: He’s been quite a time. Shall I pop out and see? What of this is to be dreaded? What is to like? What not to dread, and what not to like? Do not the dreadful and the fascinating converge in the condition of absurdity? Does nature admit of the absurd? Evidently so: consider the ostrich. Is there a theology of absurdity? Evidently so: what could be more absurd than a visiting God who manages to get himself arrested and crucified? Enough of that. Perhaps I really should stop taking the tablets. But I do not wish to stop because I know, at this moment, now, that stopping would feel dreadful, even if, after stopping, I would soon no longer know the difference. So it would be the immediate impact of stopping, not perhaps the longer term knowledge of dreadfulness – or the longer term knowledge of liking for that matter, because there would be no knowledge, no difference – it would be the immediate impact, the brief point of the knowing of the dreadfulness, no matter how quickly it might slide into liking, or into indifference, it would be that which would deter me from stopping taking the tablets. If I were to stop, I could perhaps avoid the impact of the knowledge of renewed dreadfulness, however short lived, by reducing the dose gradually. I could take a tablet every other day for two weeks, then one every third day for three weeks, then one every fourth day for four weeks, and so on. Or I could take one every other day for a month, then every three days for three weeks, then every four days for two weeks … But the combinations of intervals and periods and dosages are far too many and complex to be enumerated here. In fact, their consideration might be so time consuming that I might abandon the planned downscaling in confusion and despair. Or in boredom. And I might even end up taking the final tablet after an interval of a year, or even longer. But if I didn’t take a tablet for a year or longer, would I still effectively be “taking the tablets”? Apparently so. A door is either open or closed. To be or not to be: that’s the question unceasingly … It’s a two-headed dog. I peer more intently into the bathroom mirror. 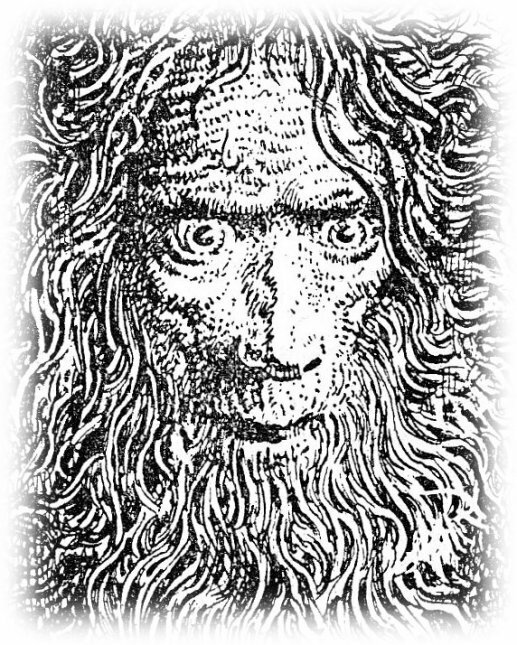 The knotted face lurches towards me, flaring and angry. I study it in detail and decide to extend my morning routine by the application of the hygienic nasal hair and eyebrow trimmer. I also decide that I will stop taking the happy tablets. Some time soon. Almost certainly. 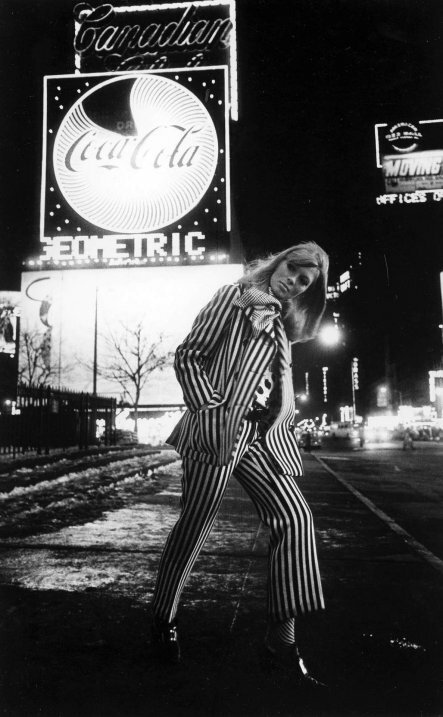 Nico does some mod modelling in Times Square, autumn 1964. Photo by Steve Schapiro. “I do not read biographs. They are full of lies, in fact, because they say life has a beginning, a middle and an end. I do not believe in the middle. You can only say one thing at the end – Nico has survived these indignities. Biographs tell you that somebody moves through life. I am saying that my life moves after me. Do you follow me? 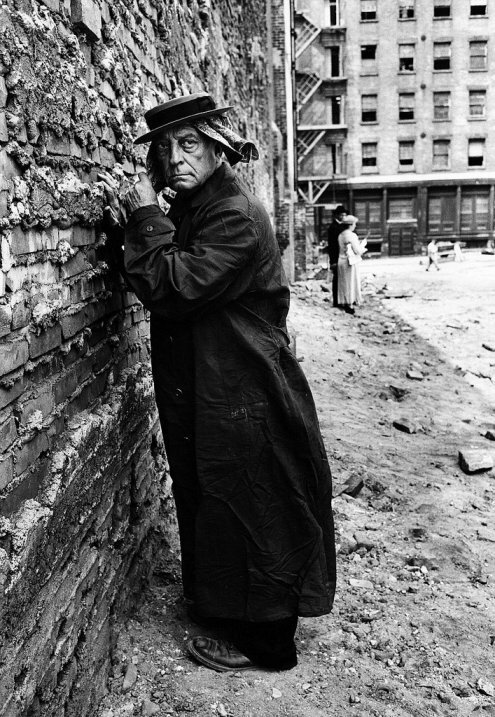 Buster Keaton as “O” on the set of Samuel Beckett’s ‘Film’, near Brooklyn Bridge, July 1964. Photo by Steve Schapiro. “After the fiasco, the solace, the repose, I began again, to try and live, cause to live, be another, in myself, in another. How false all this is. No time now to explain. I began again. But little by little with a different aim, no longer in order to succeed, but in order to fail. Samuel Beckett, Malone Dies, 1951. Plenty of artists and artworks feature on postage stamps, but it’s hard to find a decent piece of art about philately or philatelists. (I exempt mail art and artistamps from the discussion at this point, the relation there being a conceptual game rather than an observation or reflection. Not “about”.) Such Kurt Schwitters collages as happen to contain fragments of stamps and envelopes perhaps begin to say something about the collecting process as retention, accumulation and autobiography, but only in the same way as for bus tickets or small fragments of lino – it was all one to Kurt, bless him. François was just one of the four Swiss Barraud brothers, all painters and all employing a broadly similar style, though generally reckoned the best of the quartet. He died in 1934 at the age of 34. There is a cool neo-classicism in his style that fits the period well, with hints of Maillol or Modigliani. But there is also a tender and modest humanism, and a hint of Vermeer too. 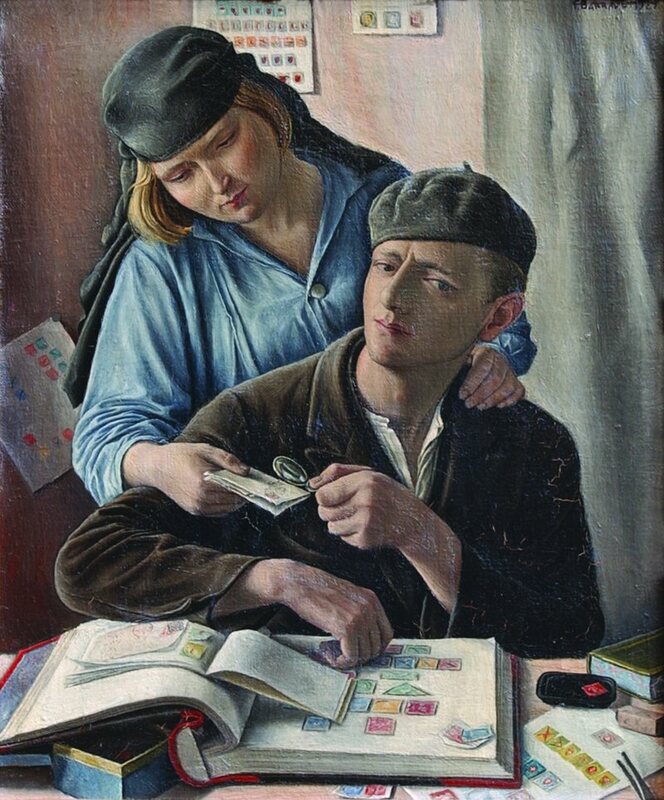 Le Philatéliste is a self-portrait with his wife Marie. The activity of collecting is shown as male, with the wife as supporter, offering her approval. Or does she intrude? Philately has always been an overwhelmingly male form of obsession. The sideways glance with slight frown, animated by the whole diagonal of the composition, introduces a very definite anxiety. The push-and-pull tension is between the woman and the collection. This is a study of desires and sublimations, of the limits of privacy and of the nature of the self. It is a gently uncomfortable image. Hand up. 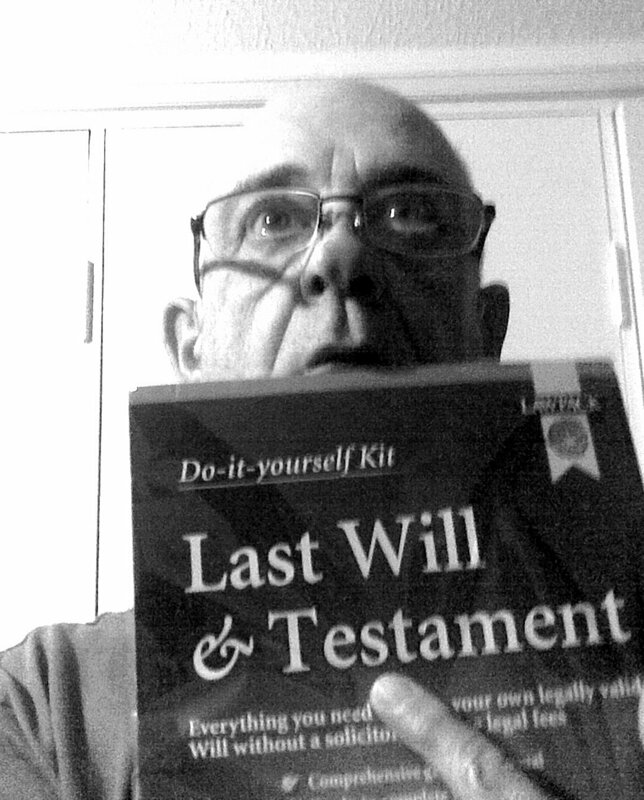 I’d better sign off here with an admission of personal involvement. Some remains of my “other” website still seem to be online here (thanks to the neglect of my previous ISP to remove them), consisting of two terrifyingly forensic studies of hopelessly recondite aspects of the philatelic history of Burma. Yes, we are talking perversion. The practices of art and philately (considered as an exemplar of “scientific” collecting) seem to be somehow opposed – and thus connected – obsessions. But which is a perversion of which? Each of the other, perhaps. And therefore both, I guess, of some elusive ur-obsession that might even claim a higher ground in terms of authenticity or worth. Or maybe not. Follow Richard Warren's blog by email!